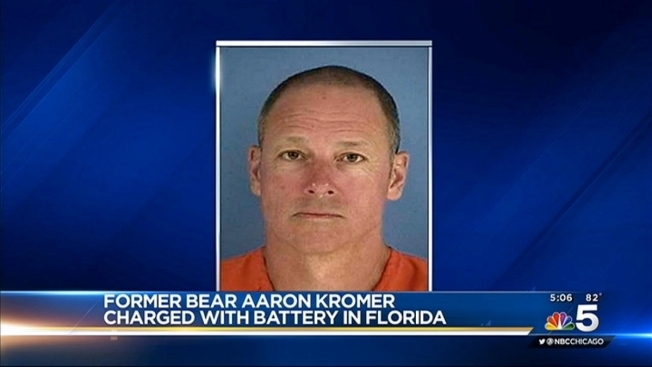 Buffalo Bills offensive line coach Aaron Kromer, the former offensive coordinator for the Chicago Bears, was arrested Sunday in Florida after shoving a boy to the ground and punching him, authorities said. The Walton County Sheriff's Office said the dispute arose after Kromer and his son confronted three boys about their use of beach chairs while fishing near their home. In a statement, the sheriff's office said Kromer grabbed the boys' fishing pole and threw it in the water before assaulting one boy. "The victim stated Kromer also told him if he reported him to the police he would kill his family," the sheriff's office said. Kromer, 48, was taken into custody just before 2 a.m. Sunday and released on bond about an hour later, jail records show. He is charged with battery that caused bodily harm, but the sheriff's office said it was still investigating and additional charges are possible. The sheriff's office did not release the names or ages of the boys who were involved in the incident. In a written statement, the Bills said, "We are aware of the report and in the process of gathering the facts." Kromer joined the team in January after being fired from the Bears.